This is a gathering of adults who may be interested in connecting with other self-advocates. While staff are available to help facilitate, participants will collectively guide the nature of the group and how they may like to see the group evolve from a gathering moving forward. Instead of becoming a therapeutic group, this group is intended to provide opportunities for connection and discussion among participants, possibly leading to additional activities based on common interests. This free group for parents/ caregivers will be held in a different room but at the same time as the adult group session, Chips, Chocolate & Chat. On Saturday, April 27th at 7 PM at Social Enrichment Center, 542 Wesley Rd., Springfield, PA 19064. *This event is free but RSVP through MeetUp.com is required as space is limited. Once you join (it's free!) search for ASCEND Group. This event is for kids age 10 to 17, and we will have Legos, board games, Wii video games, Nintendo DS and other video games, foosball and air hockey. We encourage participants to bring their favorite games to share and for parents to stay and socialize. Light refreshments provided. How to find us: The Social Enrichment Center is located at Hancock Methodist Church in Springfield. Entrance has red doors. We fill up fast so please RSVP to reserve your spot! ASCEND Group in coordination with Dr. Brittany Lyman, PsyD, and Reggie Candio, NCSP, PsyD of Autism Spectrum Diagnostics and Consulting will discuss how being a teenager in today’s world is challenging. This is even more pertinent for teens diagnosed with ASD. This presentation will cover topics that we as clinicians see as problematic for our teen clients at our autism specialty practice. Some of the topics that will be discussed include: understanding and accepting one's diagnosis, combating anxiety, depression, and social isolation, the importance of self-advocacy, navigating social media and technology, and dating and sexuality. Join and go! Become a family member of ASCEND for only $45 and take advantage of free and discounted events through the rest of this year. ABOUT OUR PRESENTERS: Dr. Brittany Lyman, PsyD, and Reggie Candio, NCSP, PsyD are on the staff of Autism Spectrum Diagnostics and Consulting in Doylestown, PA.
Dr. Brittany Lyman, PsyD, is a licensed clinical psychologist who provides evaluation, therapy, and consultation services to individuals impacted by autism spectrum disorder (ASD). She conducts comprehensive diagnostic, psychoeducational, and neuropsychological evaluations of children, adolescents, and young adults assessing a variety of learning differences, attention and executive functioning, and/or the impact of psychological, behavioral, and/or emotional conditions on the individual. Dr. Lyman also provides individual and group therapy services to individuals across the life span. In line with the philosophy of the practice, she takes a strength-based approach to both evaluation and treatment and strives to create a relationship with the individual and family that includes trust, respect, and acceptance. 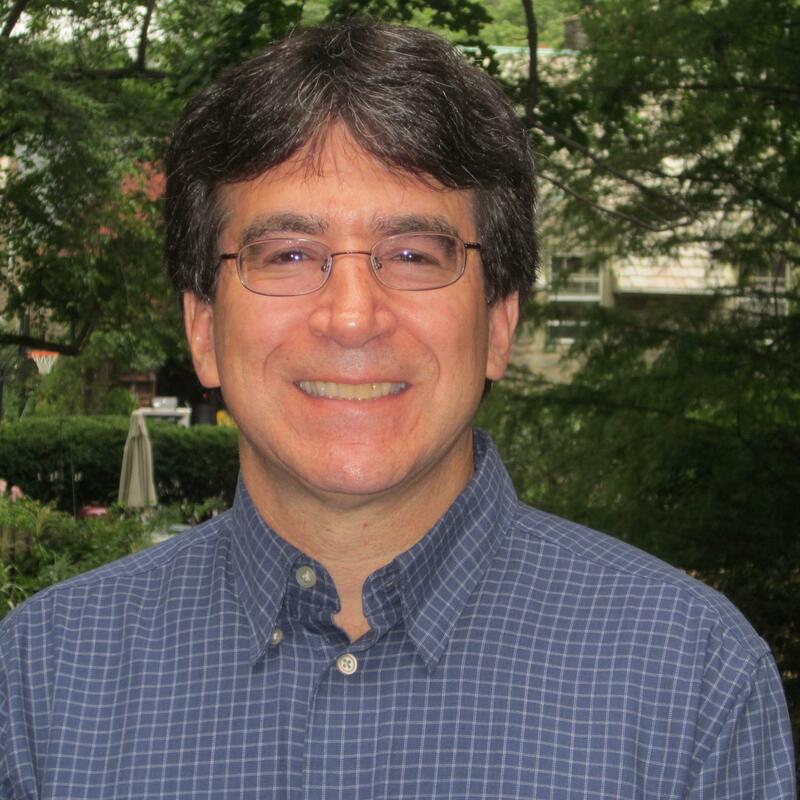 Reggie Candio, MS, Ed.S., NCSP, is a Nationally Certified School Psychologist and educational consultant who also holds credentialing in Pennsylvania, New Jersey and Delaware. He is a doctoral candidate at the Philadelphia College of Osteopathic Medicine, with training and expertise in Cognitive Behavioral Therapy, social skills instruction as well as psychoeducational, clinical, neuropsychological and vocational assessment. Aside from his work as a clinical and educational practitioner, Reggie has served as a developer and director of treatment programs for supporting the unique social, adaptive and transition needs of adolescents and young adults on the autism spectrum. Fick Educational Services will be forming new social skills groups for the New Year! If your child struggles to make friends and could use some practice with teamwork or coping skills, consider a social skills group at FES. We form groups based on need and age and will tailor activities to suit the child's needs. Call us at 610-457-2199 for more information. 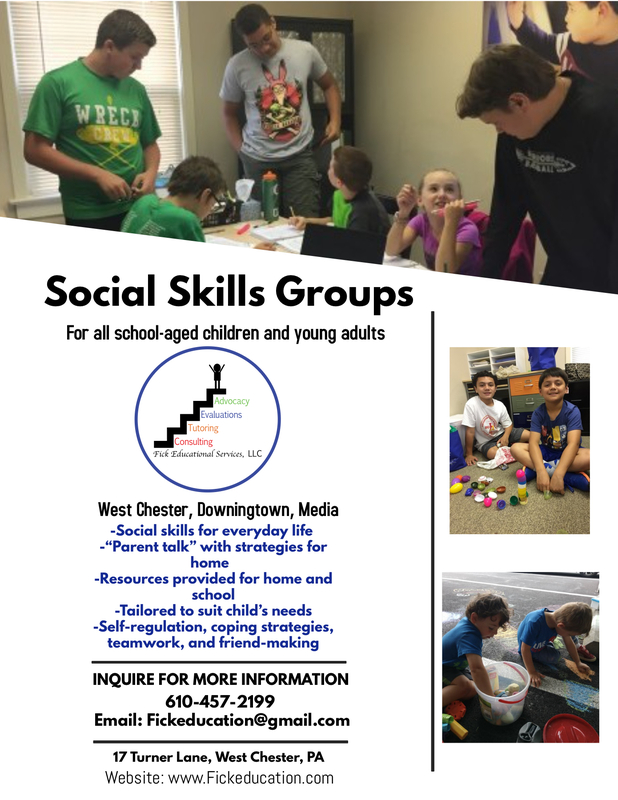 Social-Coping Skills Groups are currently enrolling girls, boys and co-ed groups between 4-18 years old in: Paoli, Haverford, Plymouth Meeting and Center City Philadelphia. Contact: Admissions Coordinator, Debbie DeBenedictis, at 610-649-1080, ext 1. Research has shown that individuals with ASD can not only perform proficiently in the workplace, they can do so independently if the job matches their personal strengths and capabilities and specific job tasks are taught to mastery. The goal of this group is to not only develop participant proficiency in technology use, but to also teach key "soft-skills" such as; job searching, understanding workplace norms, routines and etiquette, social communication at work and workplace problem-solving skills. I am a good listener and will give you time and space to share your concerns. I specialize in supporting transitioning teens and adults with ASD and parents/caretakers. I offer a comprehensive strengths-based approach that also utilizes evidence-based interventions to address issues related to anxiety and depression, life transitions, family and relationship dynamics, self-advocacy, work/employment, co-morbid mental health issues, healthy lifestyle, independent living, contact with law enforcement, and sexuality/dating. I work across the spectrum including nonverbal individuals to high functioning professionals. This group is a therapeutic support group where you can talk about your experiences as an adult with autism. We address concerns with social isolation, developing more meaningful relationships with others including improving family dynamics, developing friendships and dating, succeeding at employment or education, coping with anxiety and depression, improving self advocacy and developing a better understanding of the autism diagnosis. The group is for adults ages 25 and up who are employed or enrolled in higher education. This group is for adults on the autism spectrum who are struggling with feeling stuck in significant areas of adult life. If you would like to be working but are currently unemployed or underemployed, socially isolated, unsure about how you would like to become a more independent adult, use or hope to use state funded adult autism services, then you may find this group helpful. This group is for women with autism 25 years and up. Whether diagnosed in childhood or recently this group will give you a place to meet other women and talk about your experiences as women living with autism. This group is targeted for women who are employed and/or pursuing higher education. In the interest of promoting autism awareness, we feel it is important to help spread the word about autism spectrum research studies that are being conducted in our area. For the first time, we are giving individuals and organizations the opportunity to advertise their research studies in future ASCEND e-newsletters and on our website, for a nominal fee without first becoming ASCEND members. Use this Research Study Form to submit your study. The purpose of the Family Experiences with Wandering (“FEW”) study is to improve the medical community’s understanding of why wandering behavior occurs and how to prevent it. Compensation for your time. We are looking for people who are 18 years and older with developmental disabilities to complete a survey asking questions about transportation. autismMatch is an online registry that can quickly and easily connect interested individuals and families with research opportunities to advance scientists' understanding of ASD and related disorders, such as ADHD, anxiety, 22q deletion syndrome, and others. In an attempt to learn about patterns of brain development in children, we are studying the differences in brain patterns between children with autism spectrum disorders and typically developing children. Infants between 3-6 months of age with an older sibling who is diagnosed with an ASD are invited to participate. This study will observe young children to learn more about the biological underpinnings of ASD. Children ages 3-5 with or without a diagnosis of ASD may be eligible to participate. This ground-breaking study is looking at possible environmental and genetic links to autism. Mothers who have a biological child with ASD or who less than 28 weeks pregnant and who live in the tristate area are being invited to participate in this study. With the use of new mobile app technology, this study aims to develop a mobile app-based system to monitor clinical outcomes in children and adults with ASD vs. typically developing children and adults. Children and adults ages 6 and older with or without ASD may take part.